As a grandparent, the chances are good that you have a vested interest in the success and prosperity of your family's future generations. For many grandparents, the opportunity to provide some form of financial assistance to their grandchildren in order to help them save for college tuition and other expenses is as much a gift for them as it is for the recipients of this money. Fortunately, there are a variety of highly effective methods that grandparents can use in order to help save money that can then be transferred to their grandchildren at a point in the future. Trusts, bonds and savings accounts for grandchildren are just three of many methods that are highly effective for accumulating and storing wealth over time. Bonds, trusts and savings accounts are three tools you can use to save and grow invested money for your grandchildren. If a grandparent has accumulated assets or wealth that they wish to pass on to their grandchildren, they can do so through the creation of a trust. A revocable trust is an example of an easily established financial platform that allows the creator of the trust – also referred to as the grantor – to move assets into and out of the trust at any time. By definition, a revocable trust allows the grantor of the trust to modify the specific provisions governing assets maintenance and distribution at any time as they see fit. Until the grantor of the trust passes away, any gains accrued by the assets within the trust are distributed directly back to them, However, all assets within the revocable trust will transfer to the ownership of the named beneficiary following the death of the grantor. In a situation where a grandparent was hoping to save money for their grandchild, they could create a trust and name either the grandchild or one of the parents of the grandchild as the beneficiary. In a situation where the grandparent is expecting to pass away before the grandchild reaches adulthood, it may be worthwhile to name an adult parent as the specific beneficiary of the trust. In the event that a grandchild is too young to assume control of the assets within a trust, any and all property found within the trust will remain inside of it until the minor reaches the age of majority. Ultimately, the fact that a trust allows a named beneficiary to avoid probate and directly gain access to included assets is a significant advantage of this specific financial platform. Government bonds, specifically savings bonds, are yet another powerful tool for safely storing money for grandchildren while simultaneously earning interest on the initial principal. Saving bonds are a form of government bond that can be purchased by retail investors. When an investor purchases a bond, they do so with the knowledge that they will hold the bond until its stated redemption date in order to access the full rate of return offered by the U.S. government. For most bonds, the specific date of maturity will be anywhere from 15 to 30 years after the purchase date. Early bond redemption is possible, although it will significantly cut into the total profits offered by the bond. When the bond is eventually redeemed for its full or partial value, the money gained by the investor will be immune from state or local taxes. That being said, federal tax will still apply in the year that the bond is eventually redeemed. As a grandparent, it is possible to purchase both Series EE and Series I bonds. Both of these bond formats offer guaranteed returns, although the specific method for calculating interest can change. In a Series EE bond, for example, interest rates are fixed for the duration of the bond at the time of purchase. With a Series I bond, however, interest rates will be consistently adjusted for inflation. For all bonds, redemption cannot occur within the first 12 months following the purchase. The individual rate of return for current bonds will be announced by the federal government on a regular basis. A savings bond offers guaranteed returns in exchange for a relatively low interest rate. 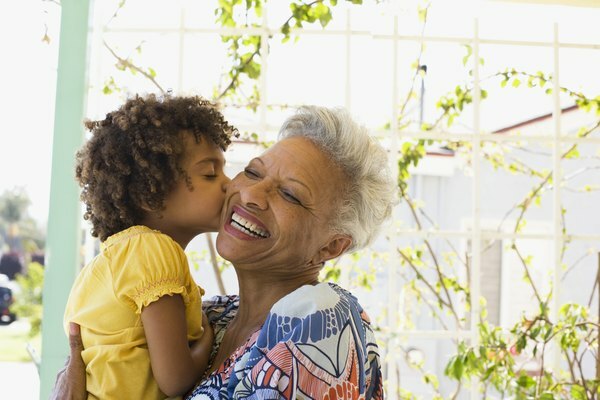 In a situation where grandparents are willing to let their investments grow slowly through the course of their grandchild's early years, a savings bond may be the perfect choice. Savings accounts are also an excellent financial savings platform. Unlike savings bonds or trusts, however, funds placed inside of a savings account are not specifically granted to a beneficiary. Instead, a grandparent may choose to withdraw funds from their savings account at any point and gift them to a grandchild. Savings accounts are unique from checking accounts due to the fact that they commonly provide a small rate of interest on funds within the account. The specific amount of interest that accrues is entirely up to the discretion of the bank hosting the account. A savings account can only be opened by an individual over the age 0f 18. That being said, a grandparent may choose to have their grandchild's name listed on the account in addition to theirs. When the time comes when the grandchild in question reaches the age of 18, the grandparent can choose to remove themselves from account ownership, leaving all funds within the account under the control of the other party. This may be an excellent choice in situations where a grandparent has decided to act as a steward for funds in the account until the grandchild is old enough and mature enough to assume full control. Given the high degree of security and relatively no risk involved in savings accounts, these particular financial platforms offer a relatively low degree of interest and yield. For those who are seeking to grow their investment substantially over the years, a savings account will likely not be the best possible option. That being said, savings accounts do allow individuals to quickly withdraw or deposit funds as needed, a degree of flexibility which is not so common in bonds. Although revocable trusts also allow individuals to add or withdraw assets as needed, they offer no guarantee whatsoever of interest accrual. With these ideas in mind, it could be argued that savings account are a compromise between the higher degree of yield offered by savings bonds and the complete control granted in revocable trusts. In your efforts to find the best way to save money for grandchildren, you should take the time needed to explore all of the options mentioned previously. These particular investment platforms are quite popular for individuals from across a diverse spectrum of interests and needs. Hopefully, you will be able to find the ideal combination of control, security and yield that allows you to maximize the amount of money you can save for your grandchildren over the next several years. What Are Personal Lines in Finance?